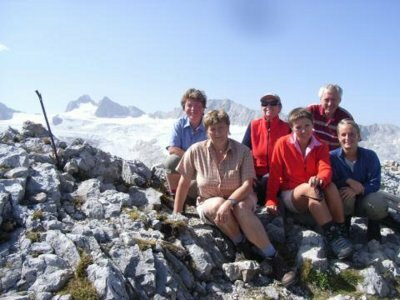 Wanderurlaub im Salzkammergut: Impressionen vom Obertrauner Wanderherbst Wandern in der “Dachstein-Wanderwelt“ in Obertraun am Hallstättersee - © Kraft. 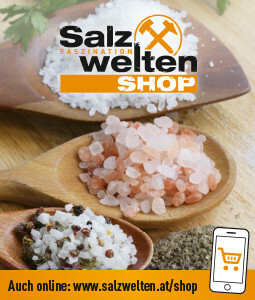 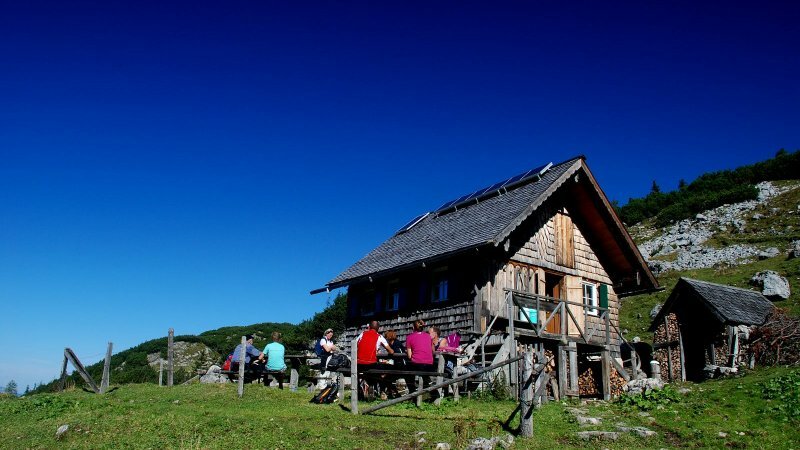 Wanderurlaub im Salzkammergut: Impressionen vom Obertrauner Wanderherbst: Naturschutzgebiet Koppenwinkel - © Kraft. 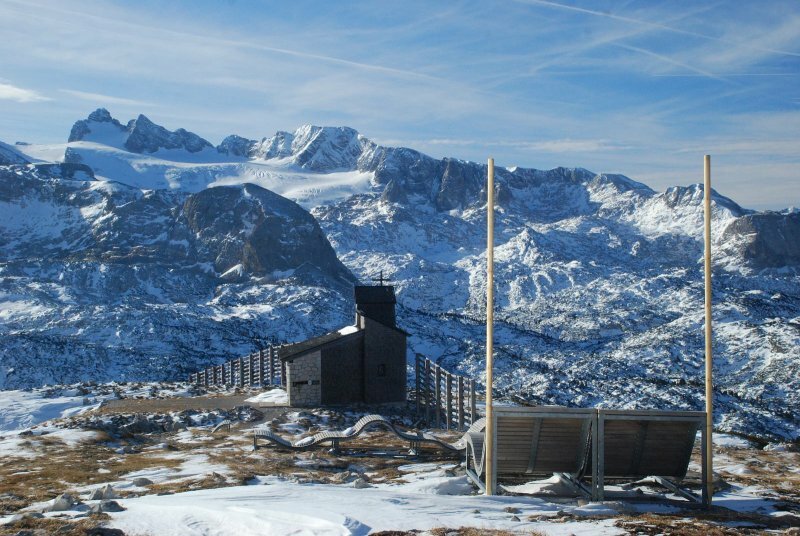 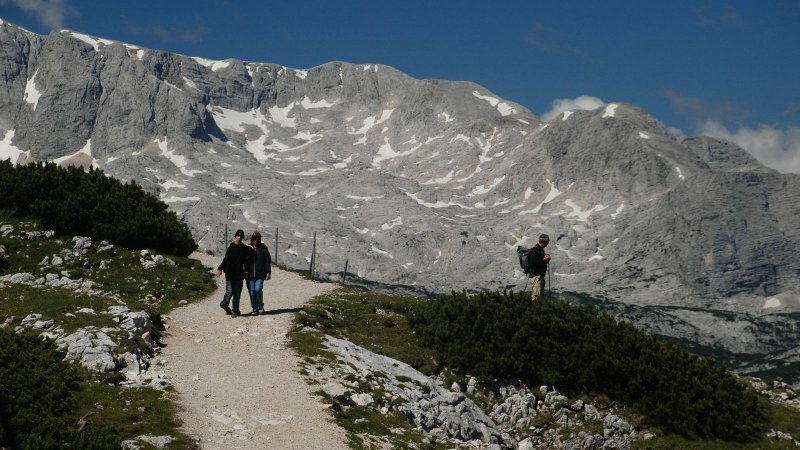 Krippenstein – Dachstein - Salzkammergut: Impressionen vom Obertrauner Wanderherbst. 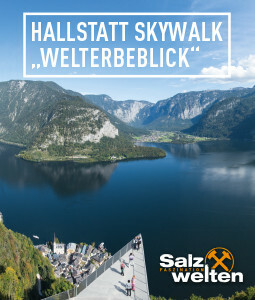 Herbstwandern in der Welterberegion Hallstatt / Dachstein Salzkammergut: Impressionen vom Obertrauner Wanderherbst. 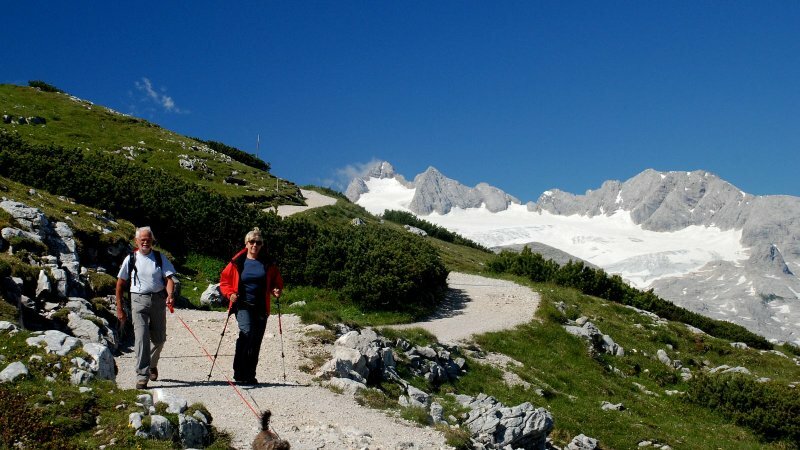 Wanderurlaub in der Ferienregion Dachstein Salzkammergut: Impressionen vom Obertrauner Wanderherbst. 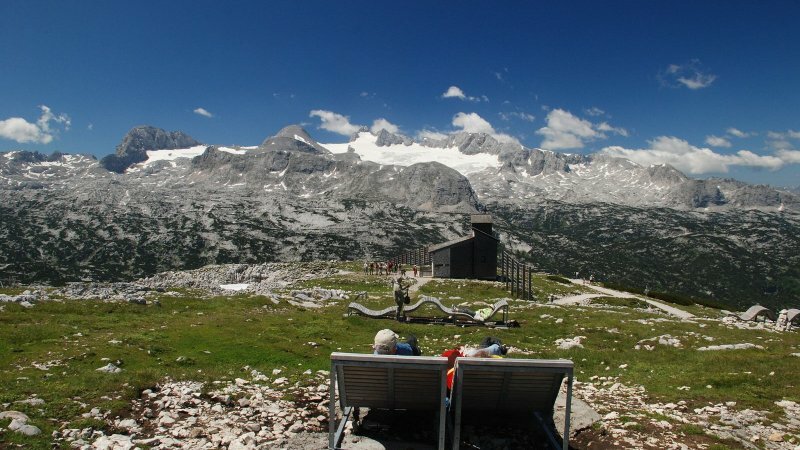 What are the "Mountain Moments"? 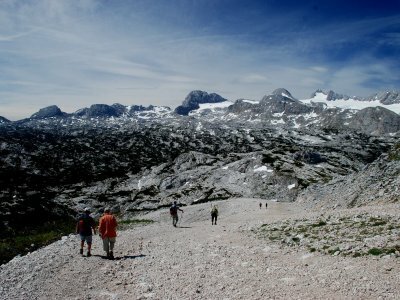 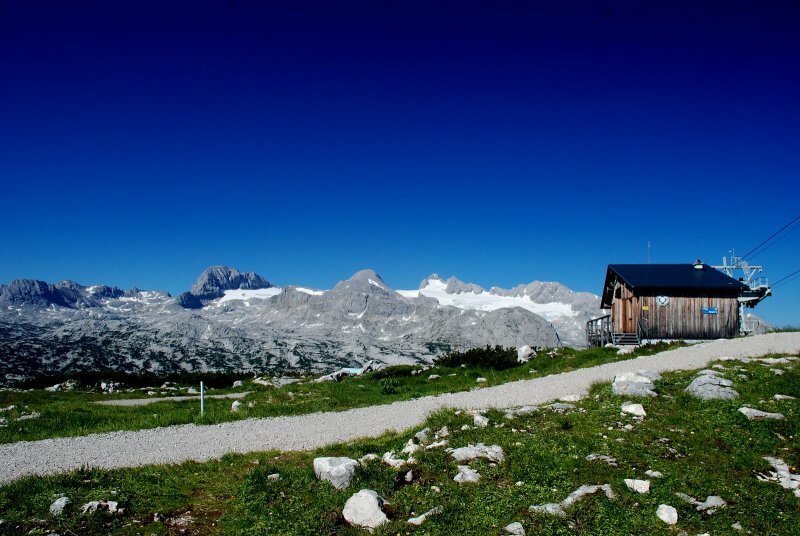 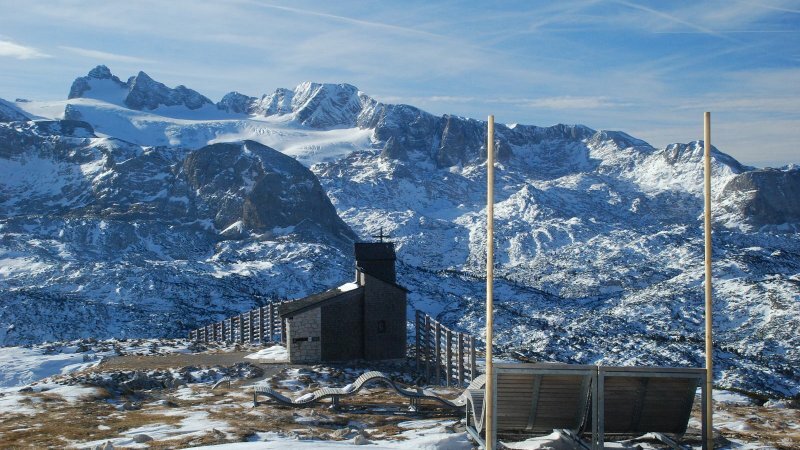 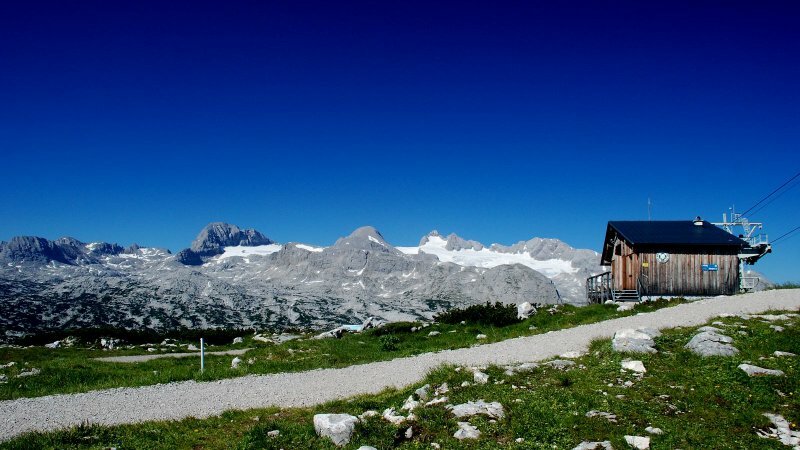 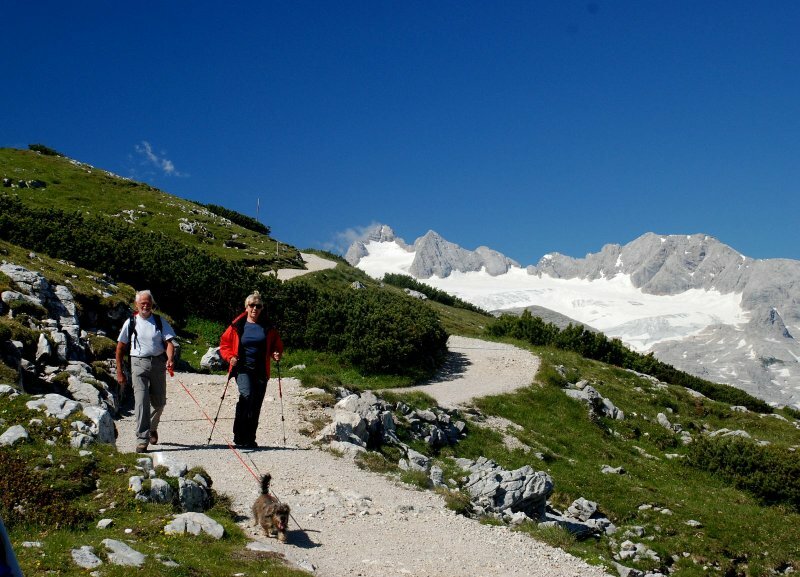 When the days start to get cooler in the Dachstein Salzkammergut , and there is dew on the meadows in the mornings, now is the loveliest time of year to go walking in the mountains of the Dachstein massif. 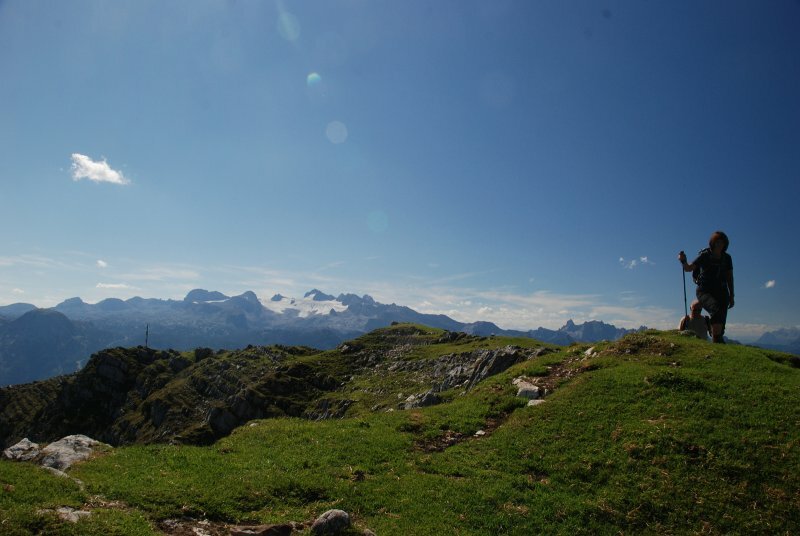 The temperature remains pleasant throughout the day and visibility in the mountains gets better and better. 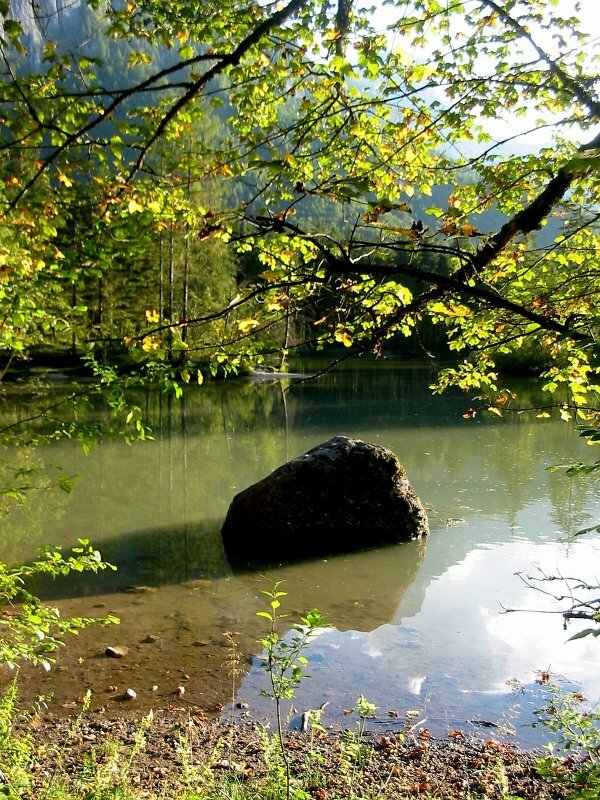 There is no more perfect a time to go out and discover your natural surroundings. 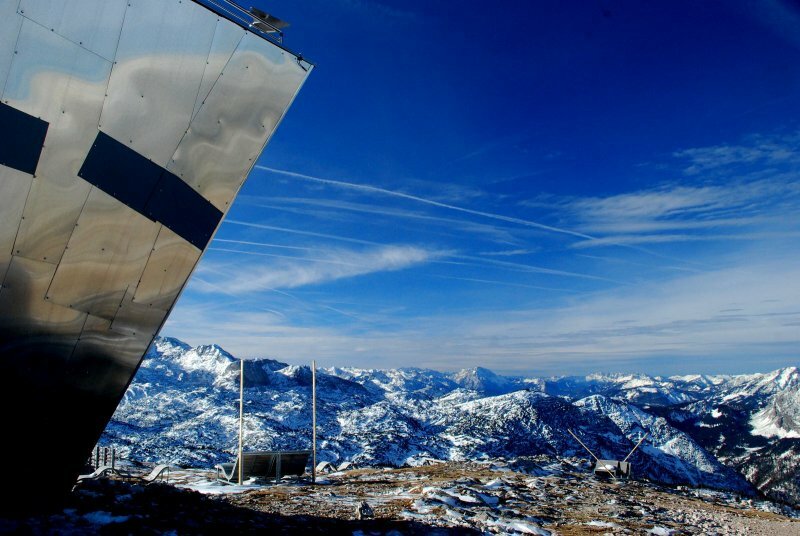 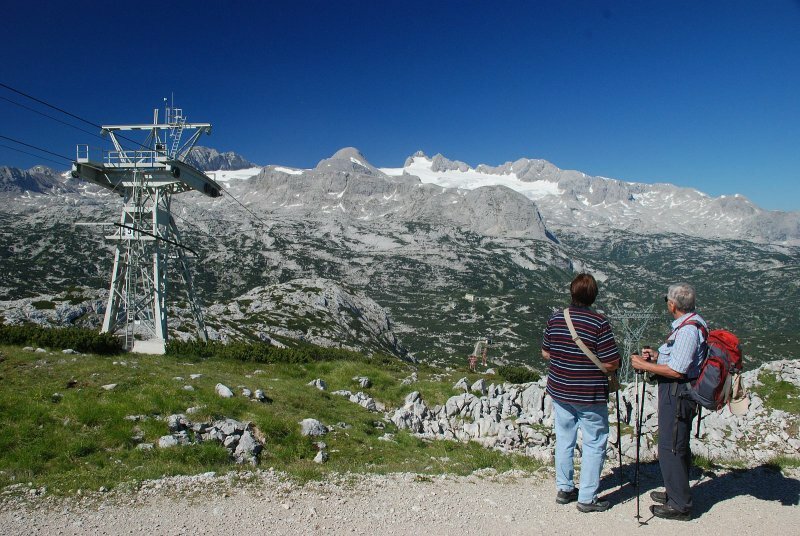 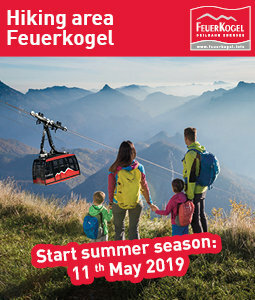 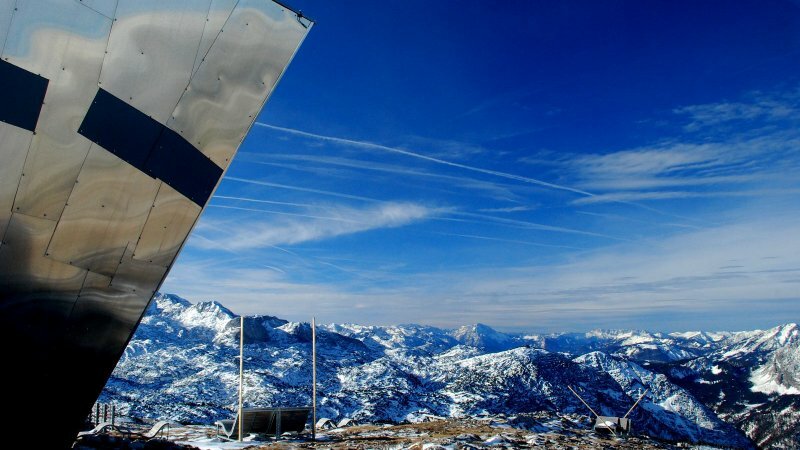 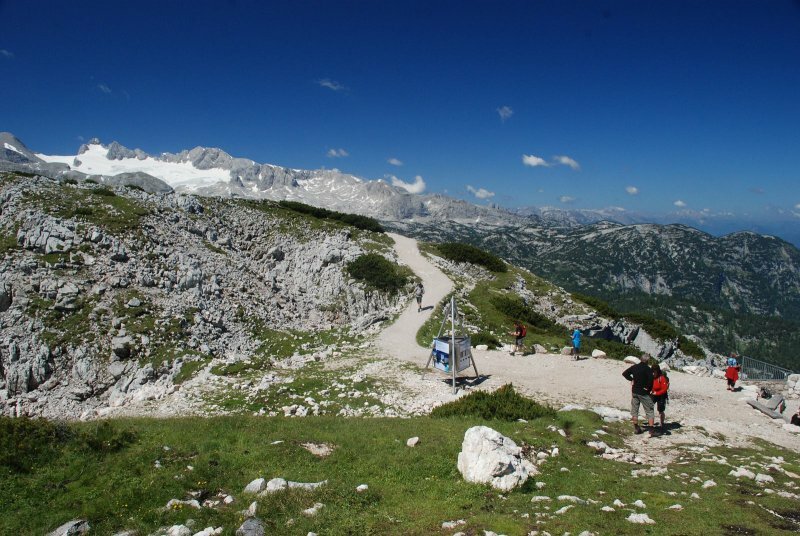 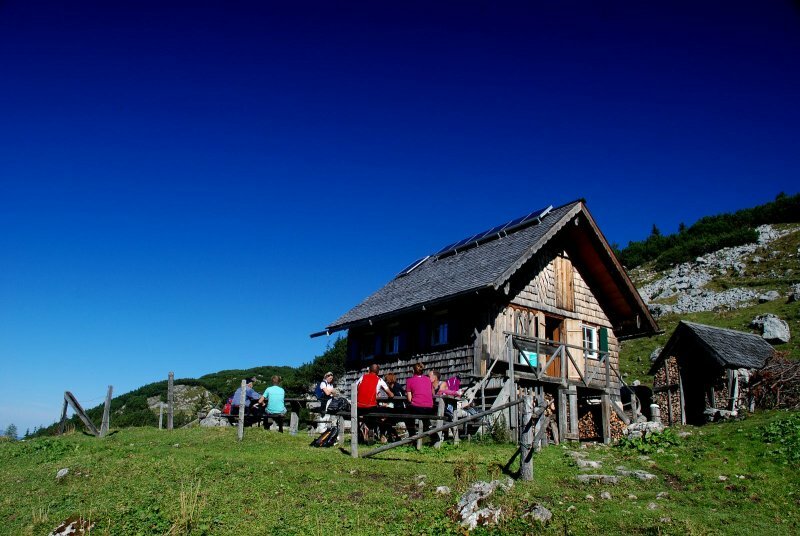 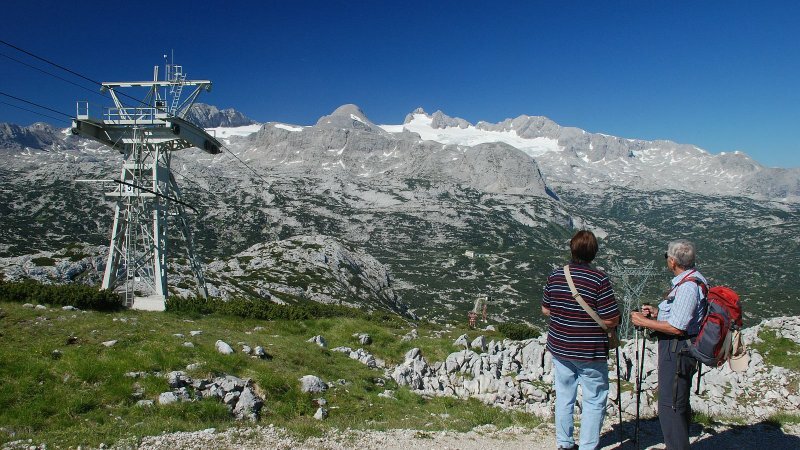 As part of the "Obertraun Mountain Moments" (Obertrauner Bergerlebnis) experience, there are guided walks from August through to October. 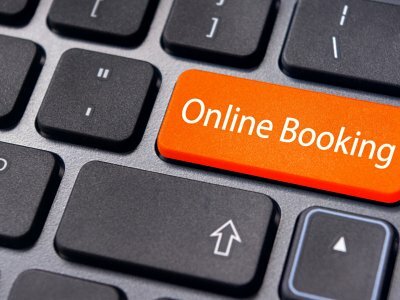 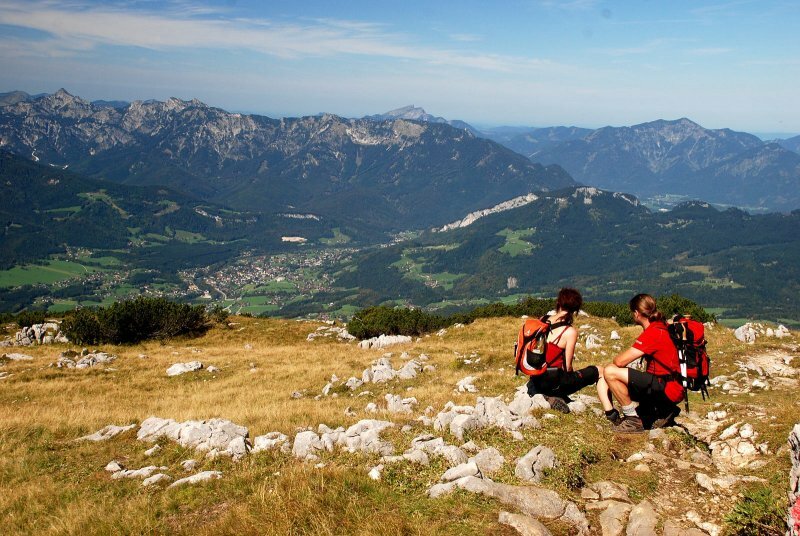 We can offer something to suit all tastes and levels of fitness. 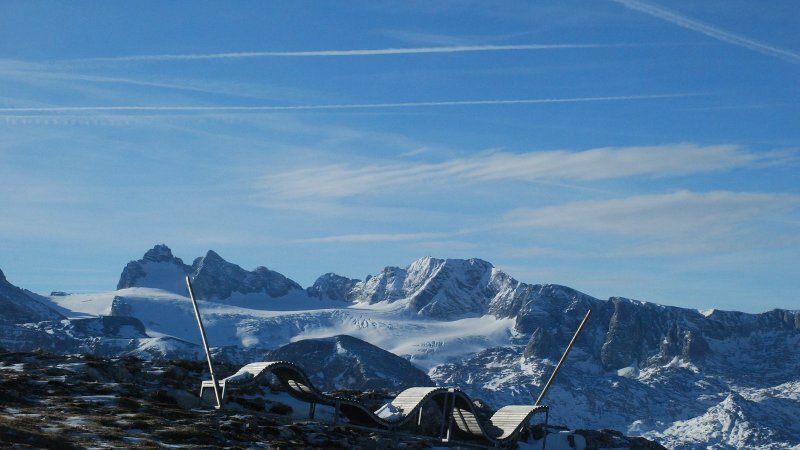 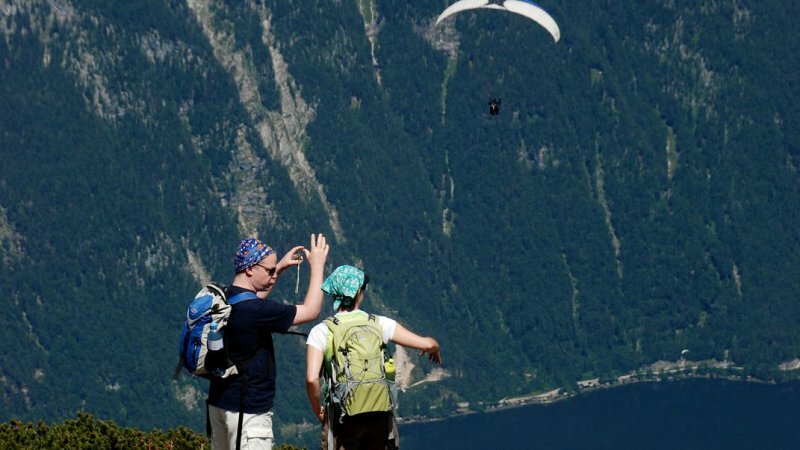 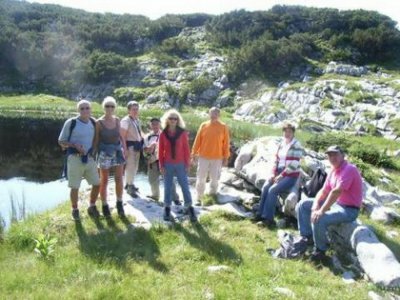 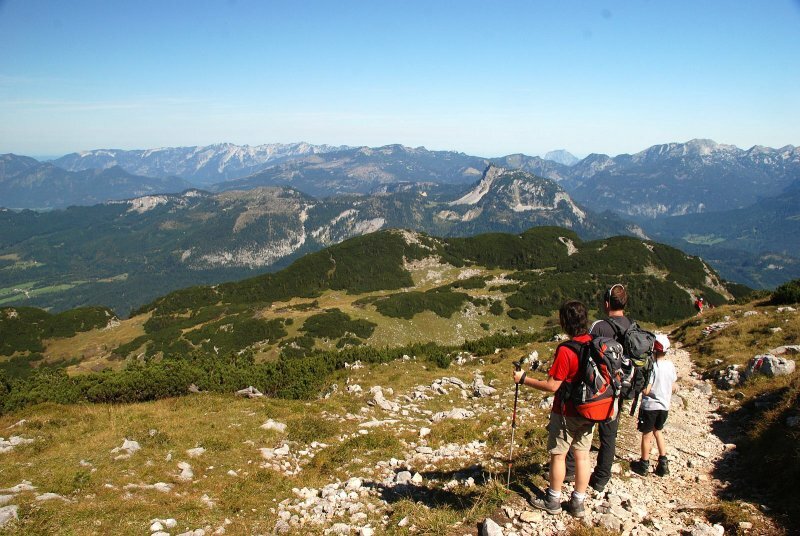 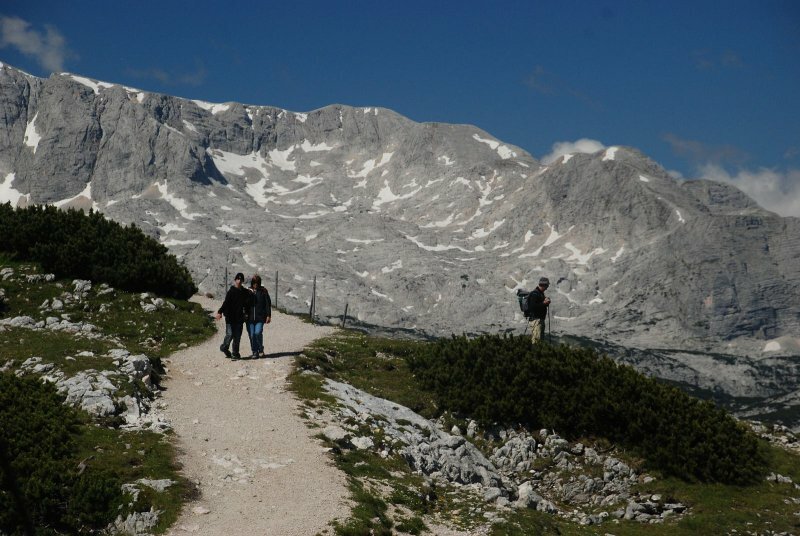 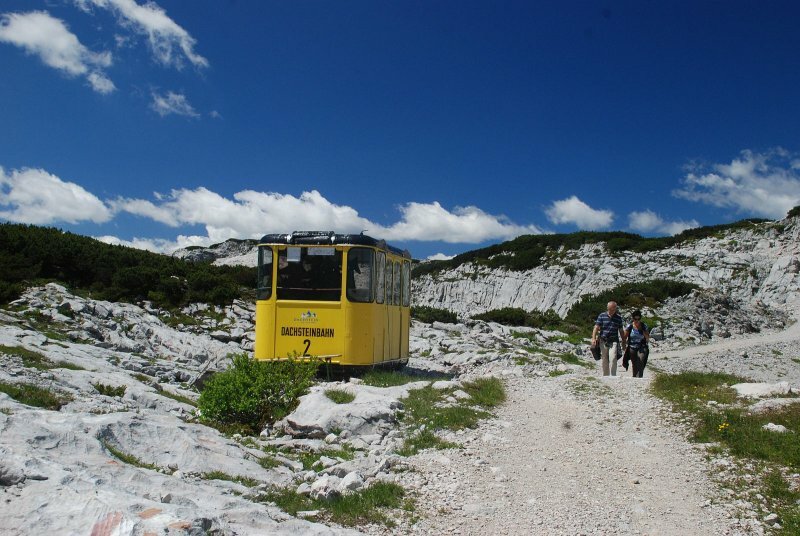 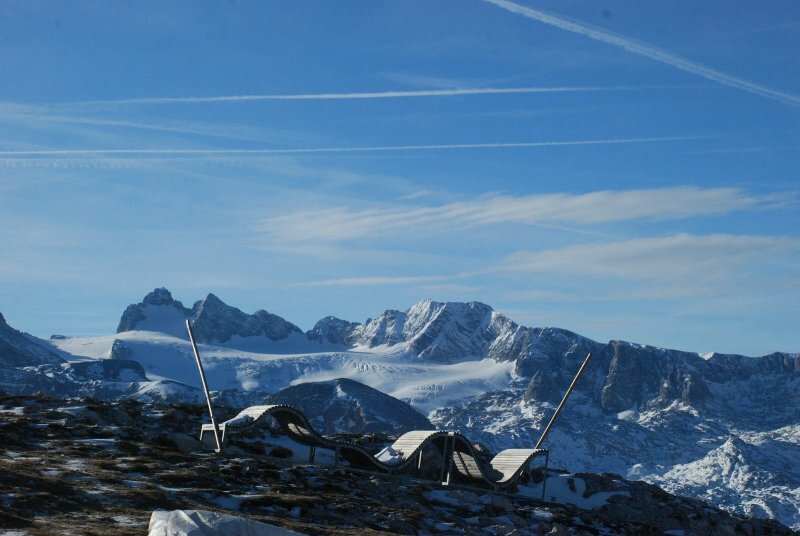 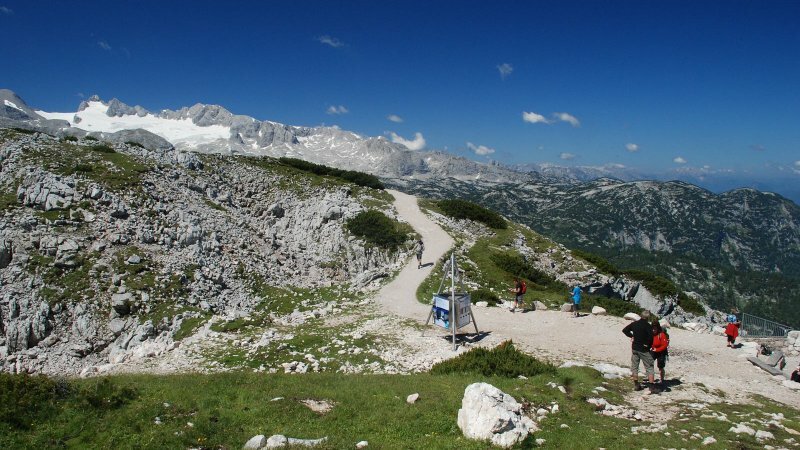 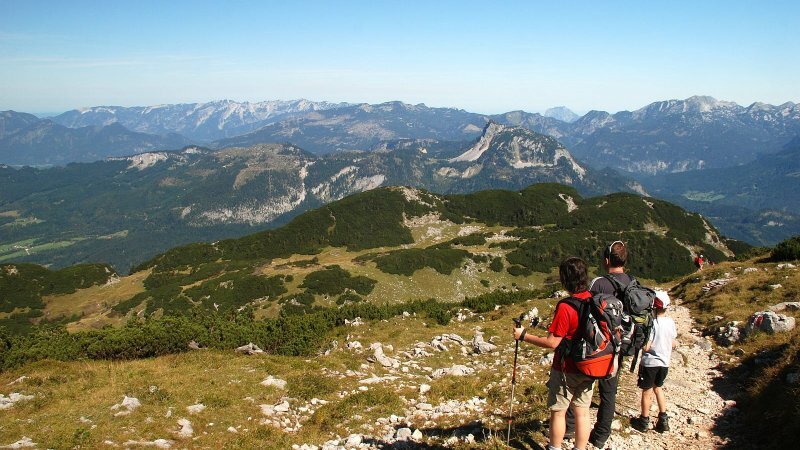 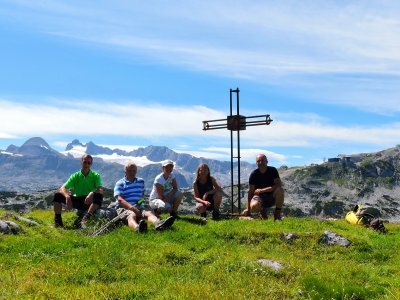 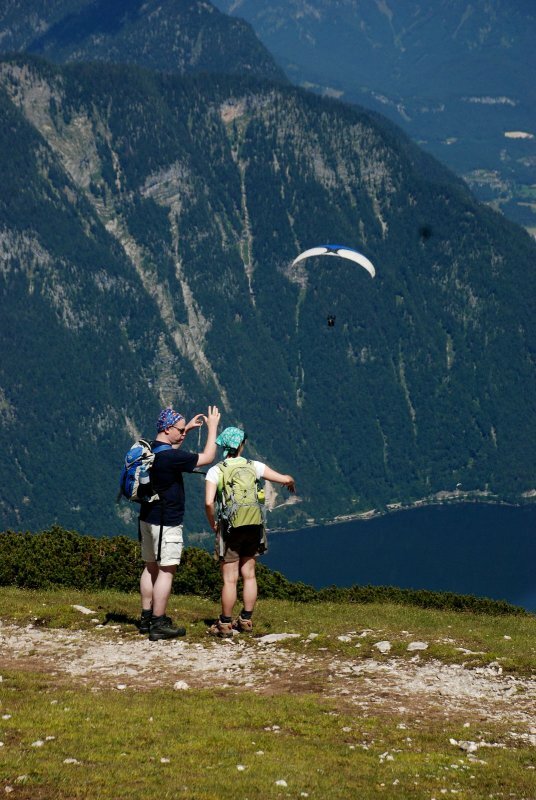 Gentle hiking with all the family with woodland discovery days are always very popular, as are high altitude alpine tours for experienced, adventurous walkers and climbers. 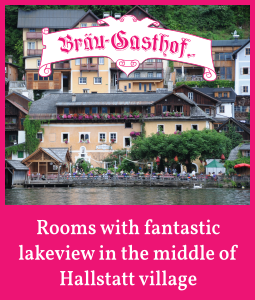 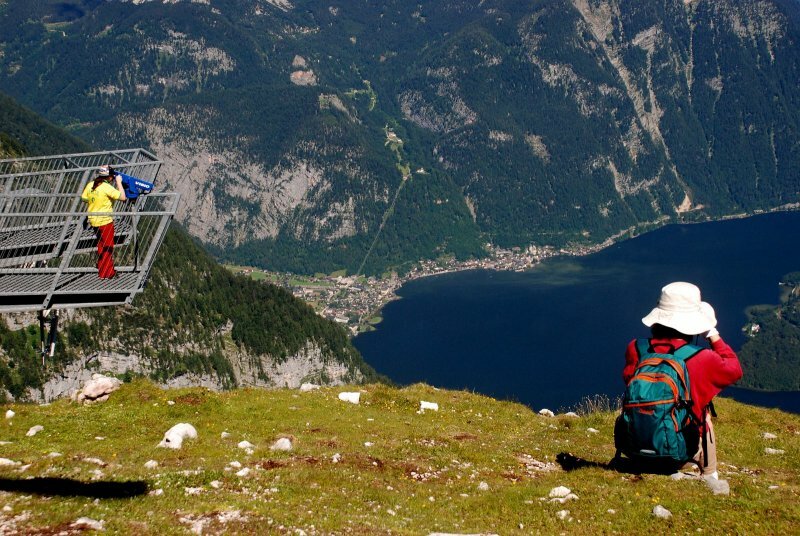 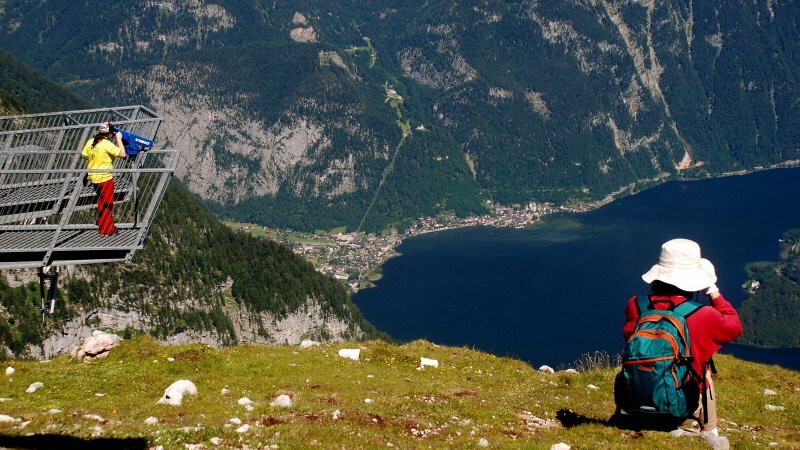 Music lovers wil appreciate the sounds of the „Weisenbläser“ on Wednesdays on the shore of Lake Hallstatt. 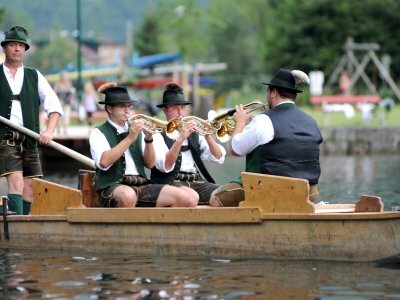 These brass musicians perform from a traditional wooden boat on the lake which glistens in the evening sun. 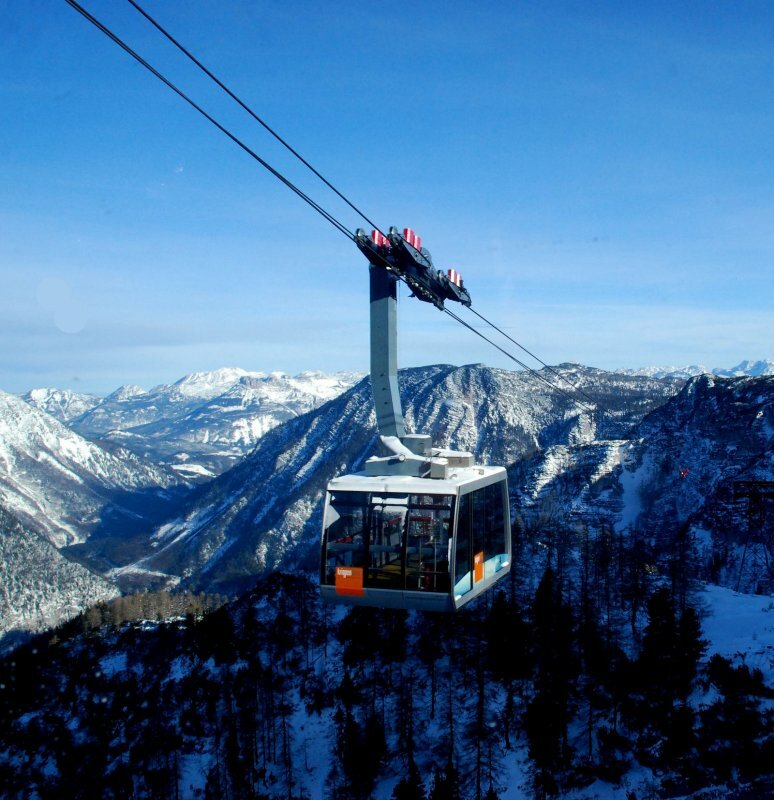 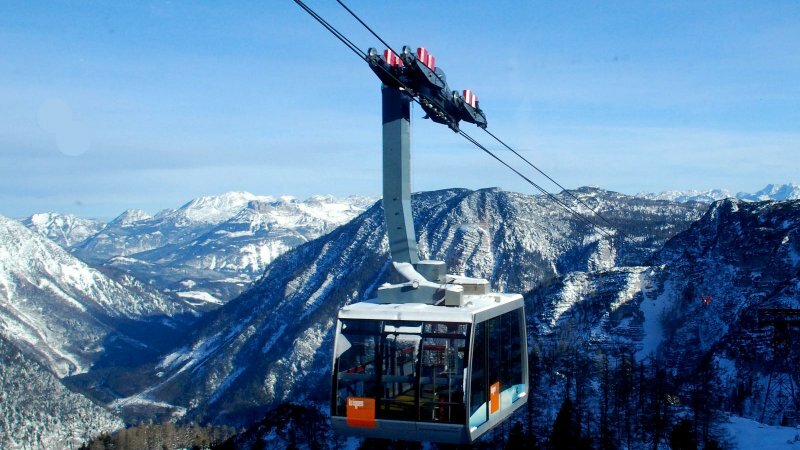 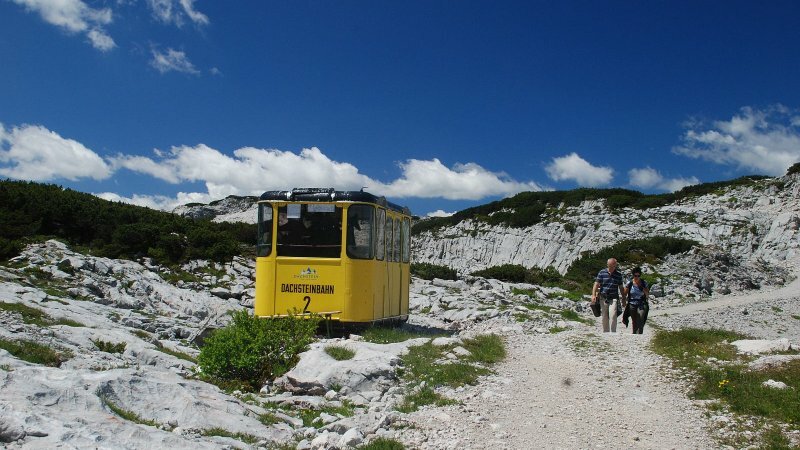 There are other lovely traditions such as two Full Moon Cable Car Trips which take place in August, September and October. 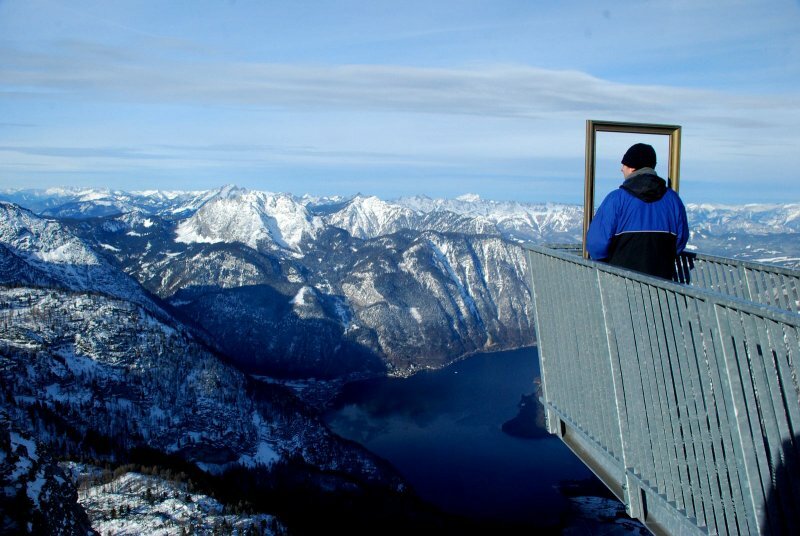 Standing on the „5fingers“ Viewing Platform on the Krippenstein by moonlight is medicine for the soul. 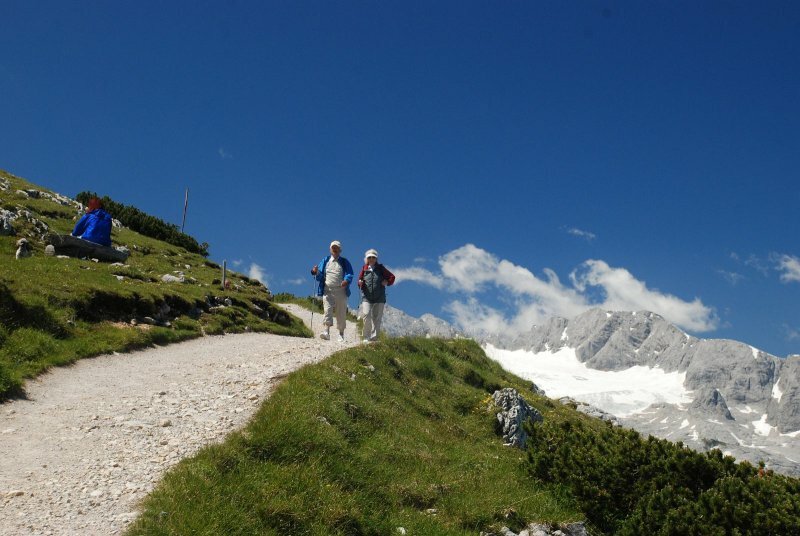 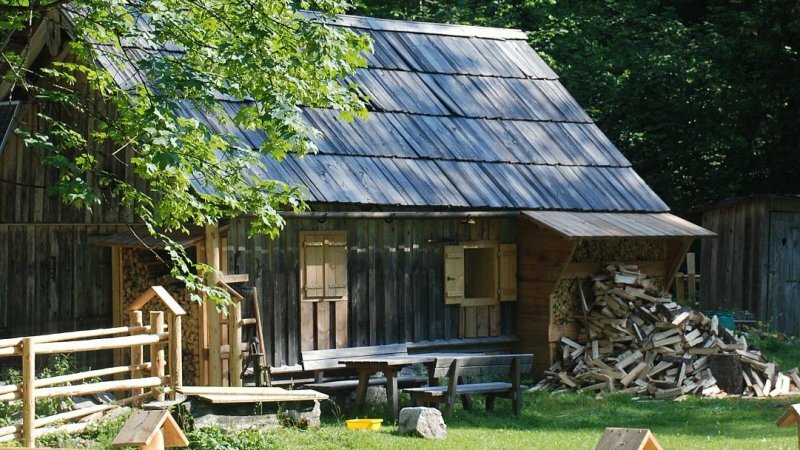 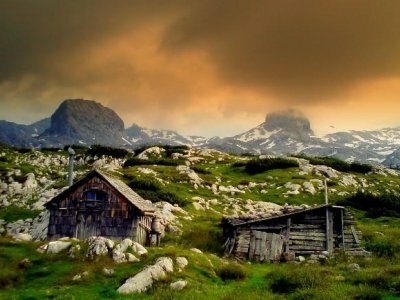 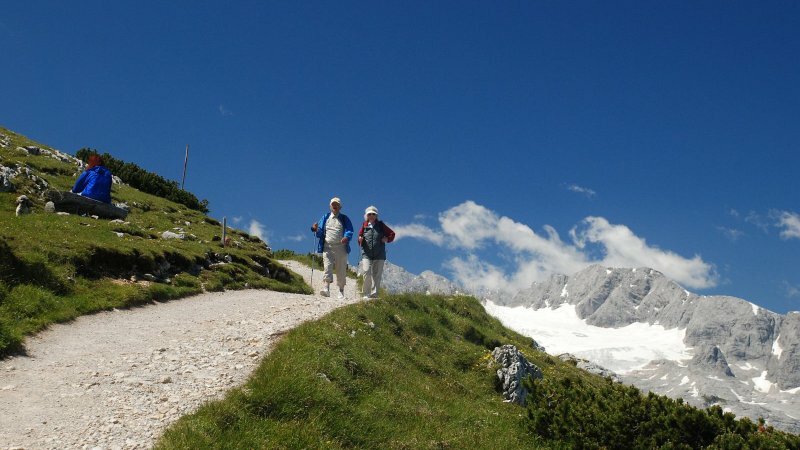 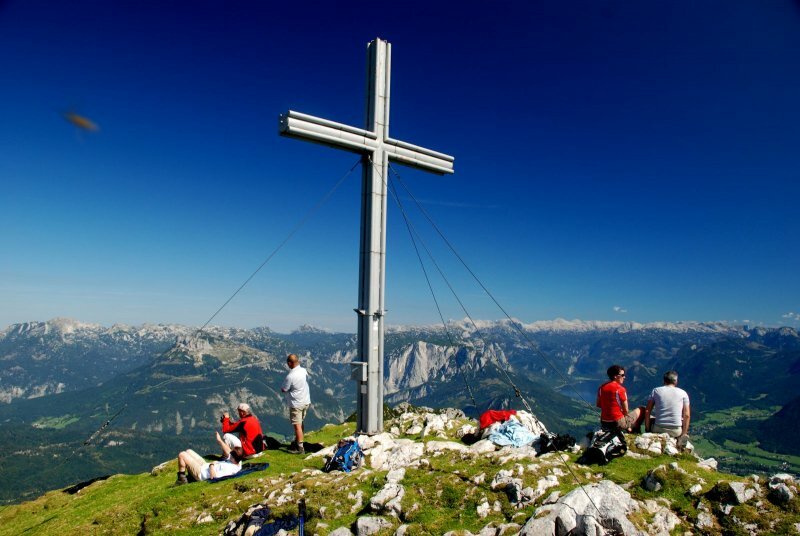 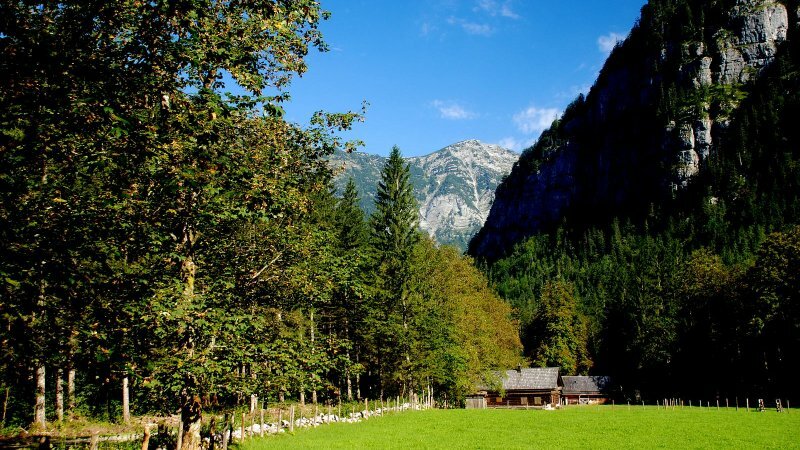 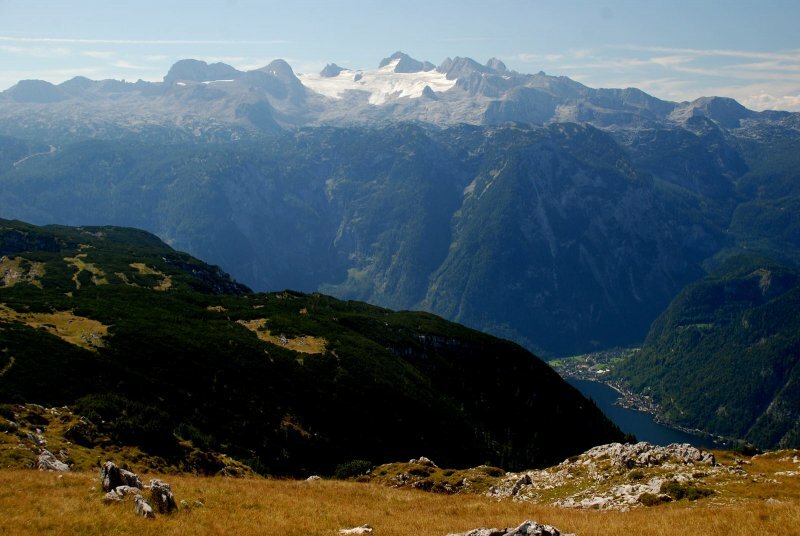 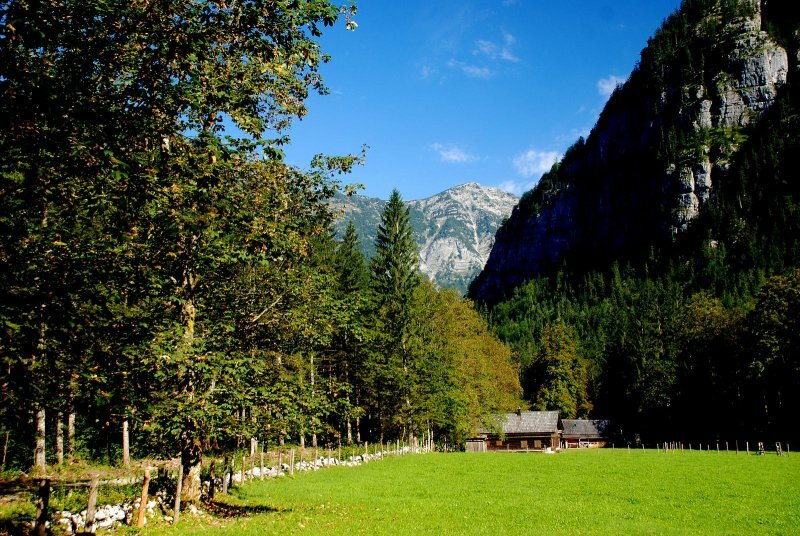 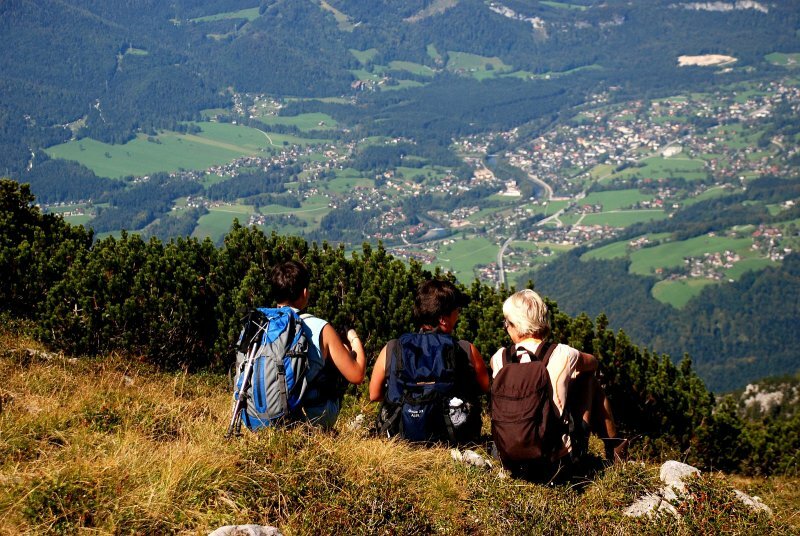 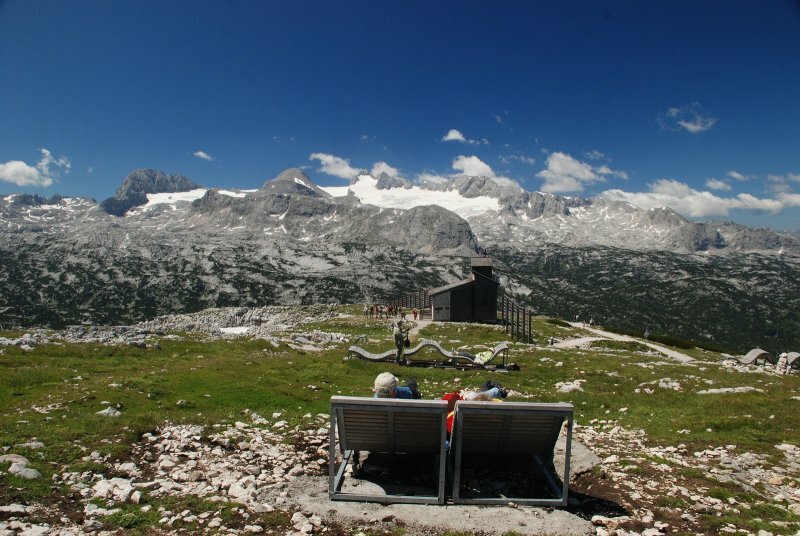 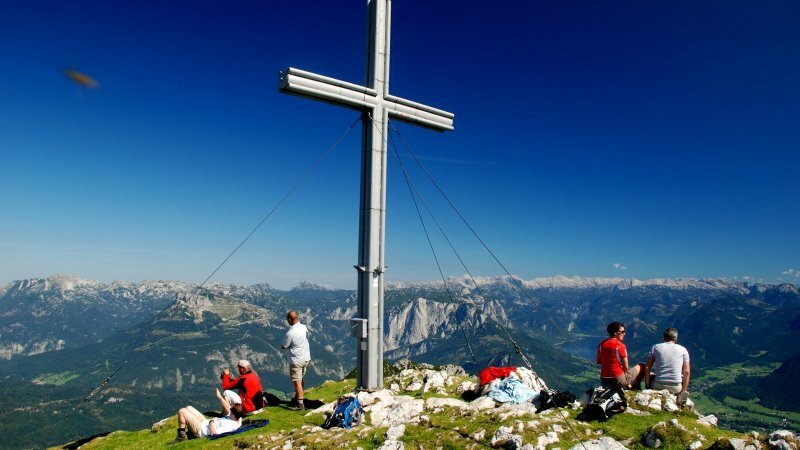 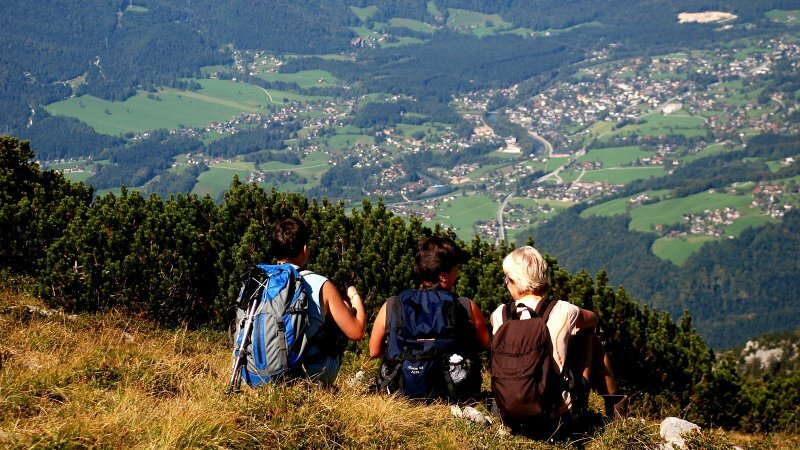 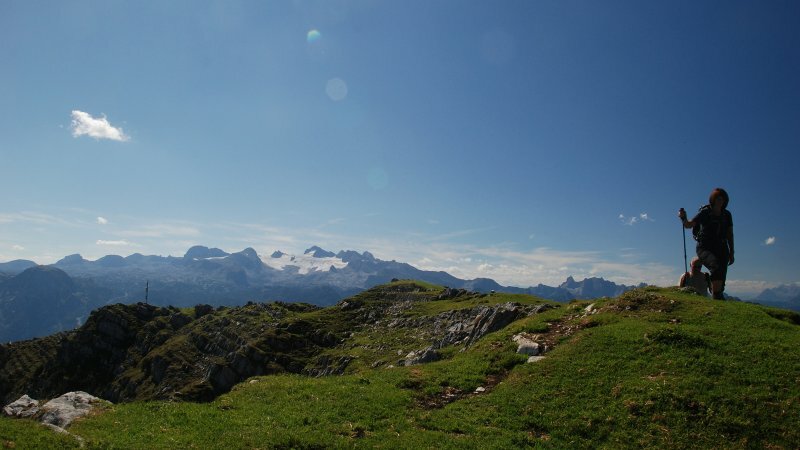 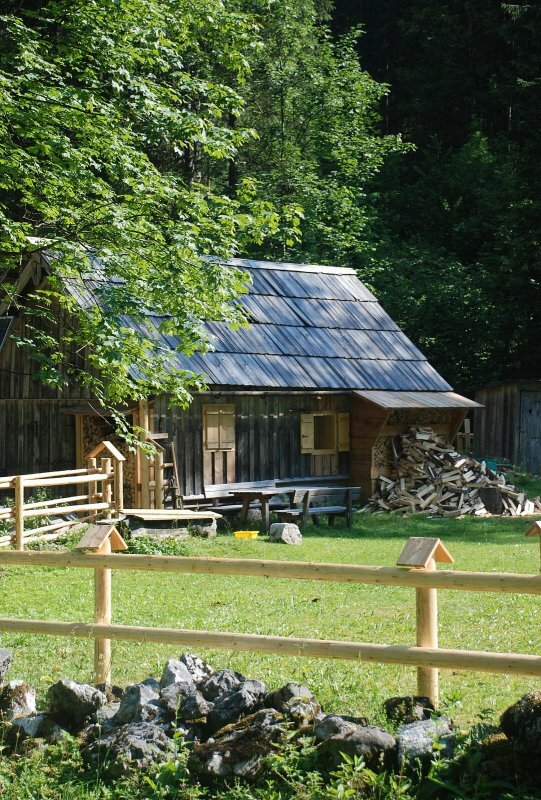 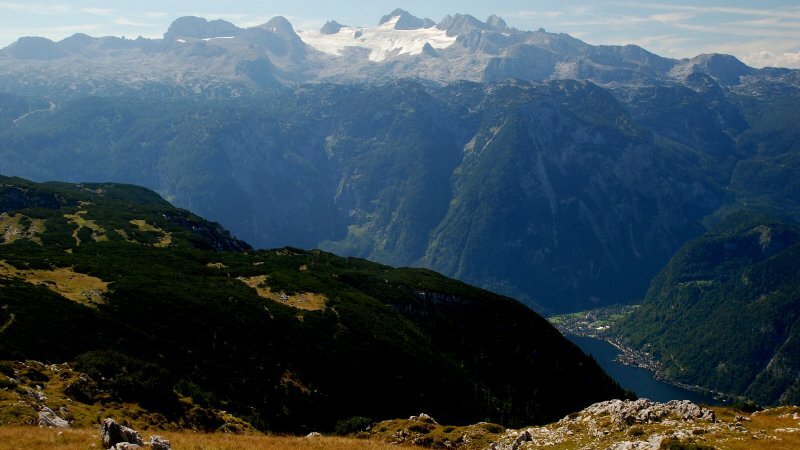 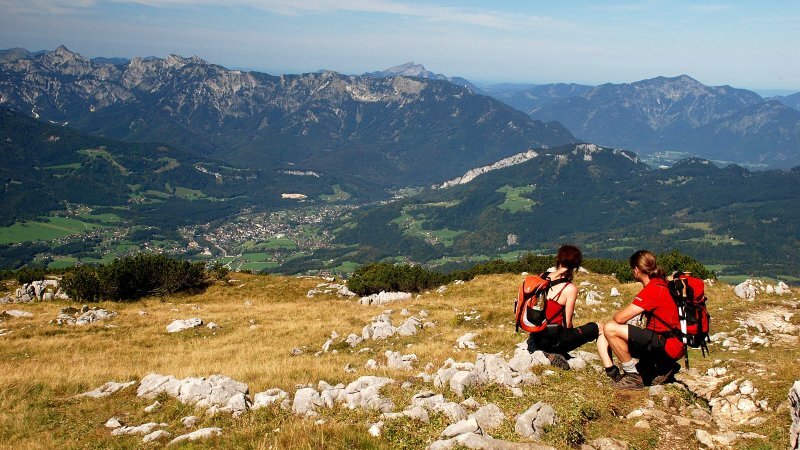 Hiking, music, tradition and the Alpine Pasture Festival in Koppenwinkel Nature Preservation Area are the foundations of the “Obertraun Mountain Moments“. 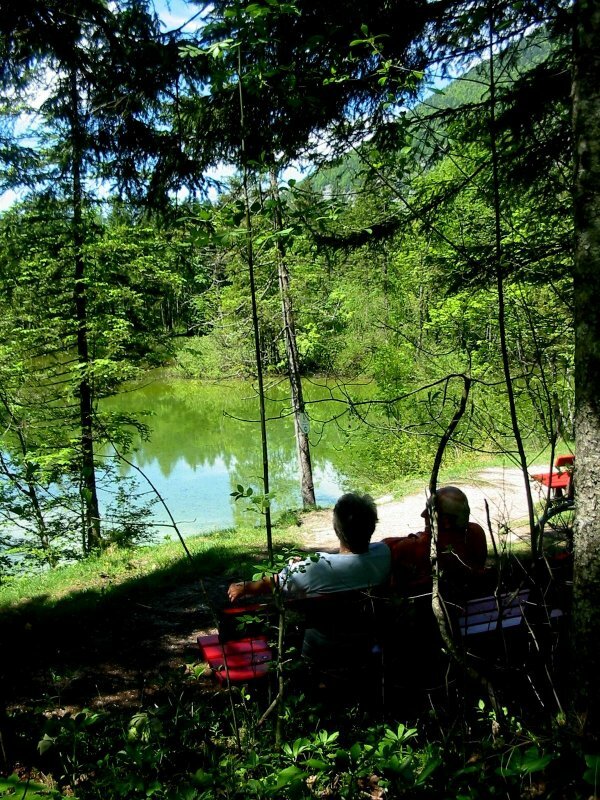 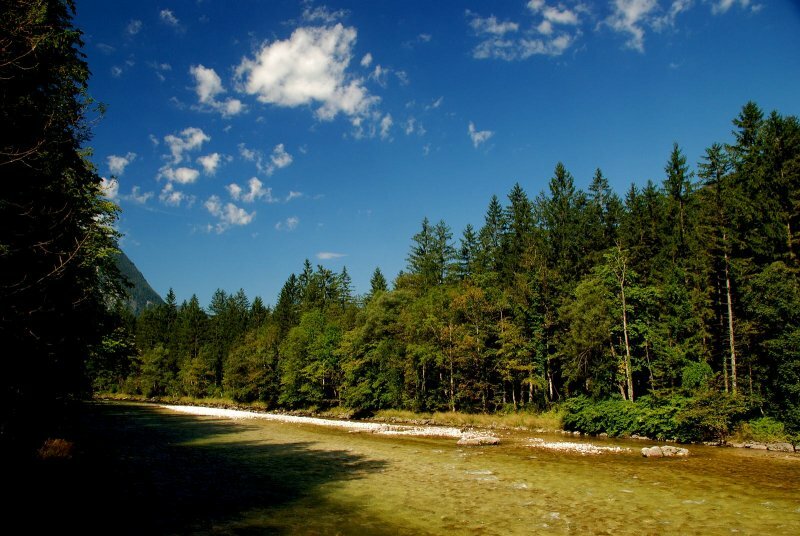 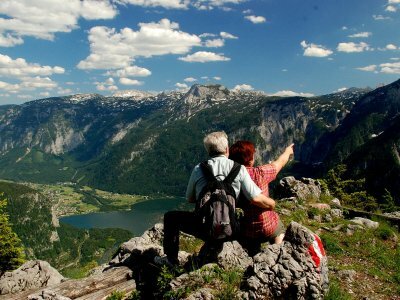 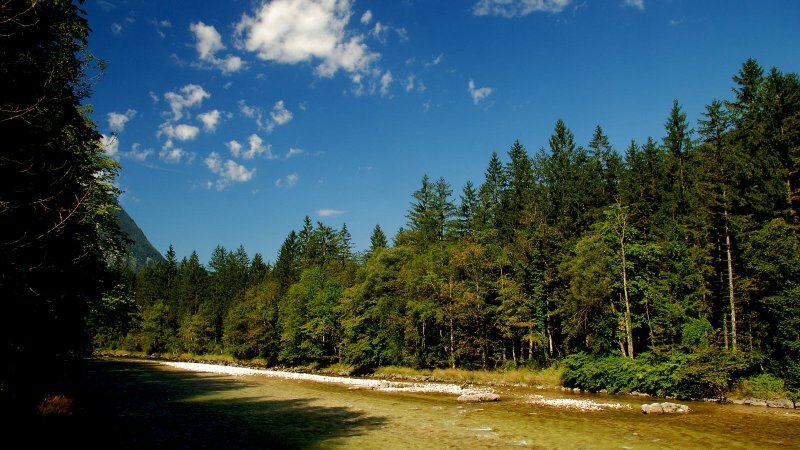 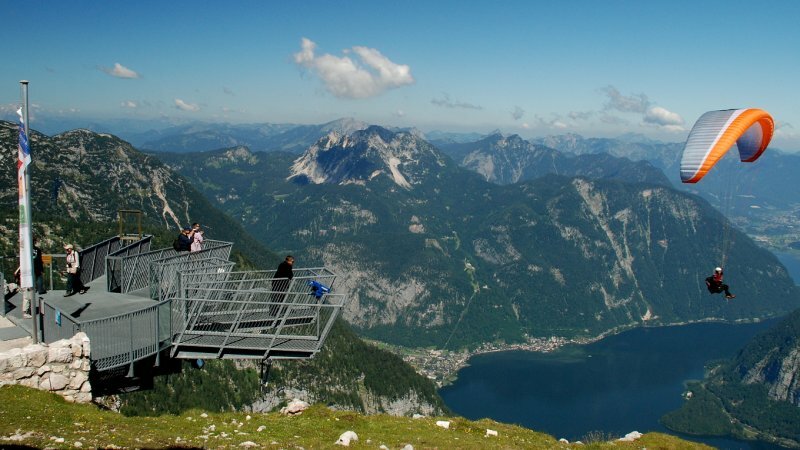 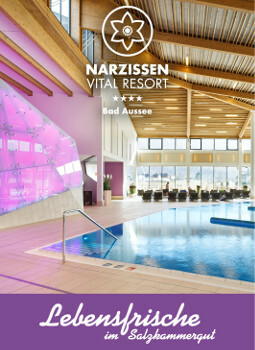 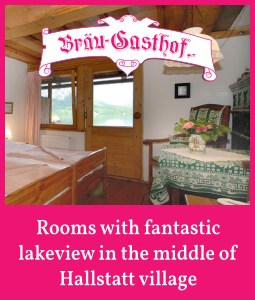 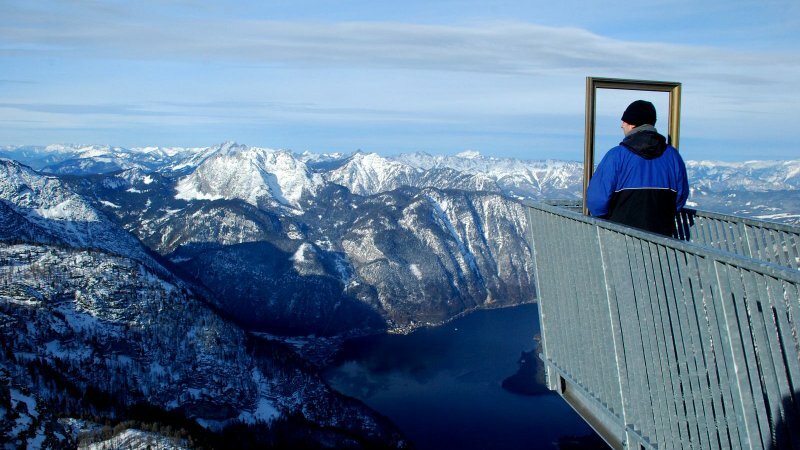 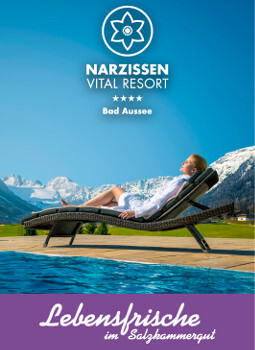 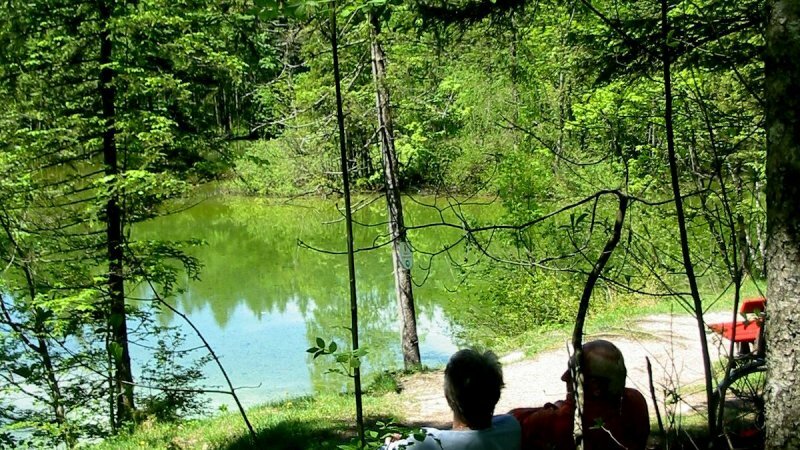 Every year, visitors and local people experience the natural beauty of the Salzkammergut and discover inner harmony. 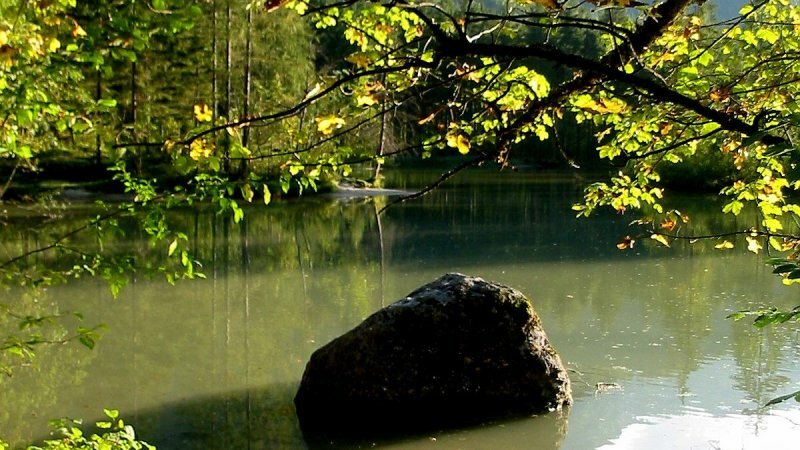 Discover a sense of togetherness, harmony, luck, happiness and well-being this autumn.